Join this webinar, to hear first-hand from James Morgan, IT Manager at the A14 IDT Team, as to how the largest road construction project in the UK – a £1.5 billion joint venture between Costain, Skanska and Balfour Beatty – saved days by automating processes and cutting down on paperwork, with a super-efficient no code business process automation tool. Speakers: James Morgan, IT Manager, Costain, Skanska & Balfour Beatty A14 Joint Venture & Paul Stone, Product Evangelist, FlowForma. Suitable for: COOs, CIOs, CTOs, IT Managers, Digital Transformation Managers, Business Analysts, Business Managers, Operations Managers, Process Analysts etc. 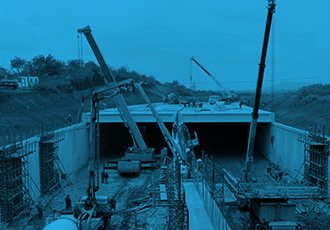 How the Costain, Skanska and Balfour Beatty A14 joint venture is automating large amounts of document generation, while centralizing and standardizing data across projects. Why the intuitiveness and rich features of FlowForma's no code tool, make it very adaptable and easy for everyone to use.